Drip, dry, draining my pay. Tax, tax! Taking the max. Kerplunck! Kerplunck! They sunk my junk. Chill! Chill! Chomping the pill. Chop, chop! Chump will you stop? No, no, knowing how low. Free! Free! Fret for a fee. Naught, naught, that’s all I got. Soon they (all the they’s they is) will just take the entire savings account because you are one of us and not a “them.” Your money is theirs by right so adapt. Oh, yeah. They is one too many. Adepts get by on account of them there safe havens. I didn’t even have to ask for a ticket. LMAO. Yes, I got my paycheck today . . . what’s left of it! if it has my name written all over it. Enough already with the serious demeanor, and all. I’m sure you can smile. Do you have another pic lying around? Oh, do as you please, and do please have a cheerful weekend! Okay? who is ‘them’? and why are they taking your money? you must make a lot! 😉 … and how do I get on the list of taking a part of someone else’s paycheck?? Ha glad to stop in again…. always enjoy your posts Uncle Tree! I liked this poem uncle, it has a great rythm, the rythm of your words, I like how you play with them, it feels fun to do that. Hugs uncle, and keep the play! Who be them there above, Cindy? I know you already know. I’m glad your glad again. Just some Friday fun, Mariana. I can’t be non-stop serious, now, can I? it’s meant to be said out loud. Whatever is fun for the tongue, so to speak. Luvz and hugz for you, too. You had my foot tap tap tapping! Well, that’s a mighty fine start, Fantasia Lillith! 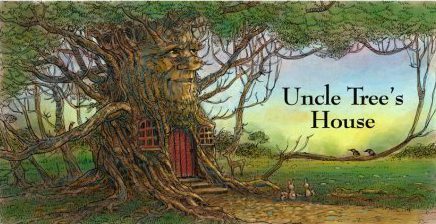 Welcome to Uncle Tree’s House, and thanks for joining in! This verse is crying out for some bluegrass music. Very lyric with a timely and current message. … and thank you!! So many stop in and so few comment – thank you for having a voice! Hope you will drop in from time to time and share your impression … or even just say hello! I know I will! whether it’s potentially proper or downright inappropriate. before the judgment could be rendered. Do, re, mi, too. What a gas! If you will, I will, Fantasia. That’s just sad, and I don’t understand it, either. someone will ‘honk!” just for the hell of it. Glad you did.